04 Feb 2016 - Exeter, New Hampshire - Republican presidential candidate Donald J. Trump is giving a speech in Exeter Town Hall. 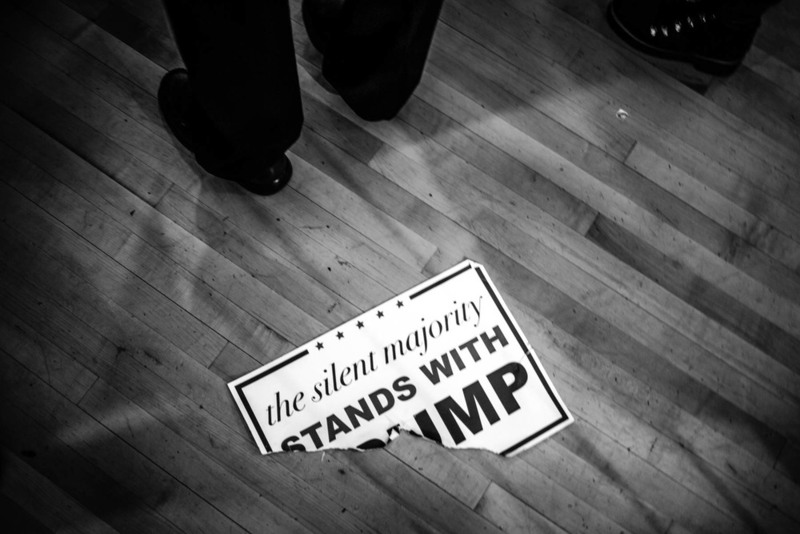 04 Feb 2016 - Exeter, New Hampshire - Supporters are waiting for Republican presidential candidate Donald J. Trump to arrive for a speech in Exeter Town Hall. 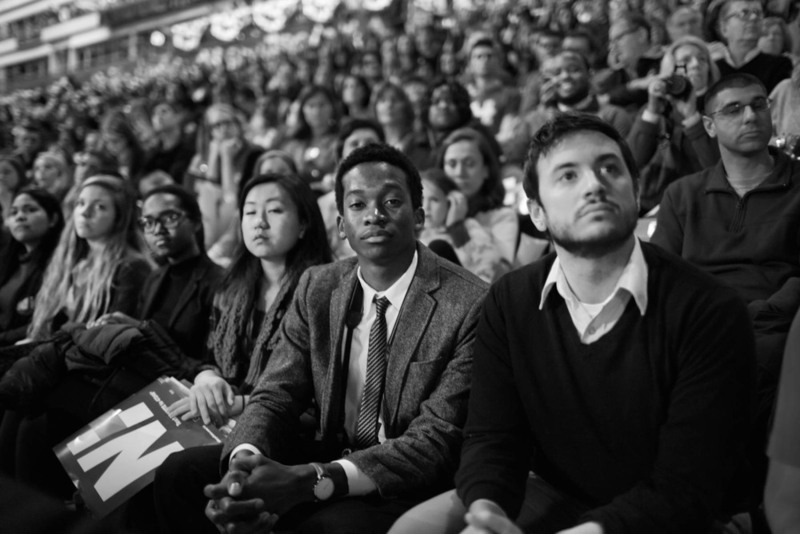 5 Feb 2016 - Manchester, New Hampshire - Members of the Democratic Party attend the 2016 McIntyre-Shaheen 100 Club Celebration in the Verizon Arena, to hear Bernie Sanders and Hillary Clinton speak. 08 Feb 2016 - Nashua, New Hampshire - A secret service agent is observing the crowd at a Bernie Sanders speech in the Daniel Webster Community College. 07 Feb 2016 - Peterborough, New Hampshire - Blinded from the sun people are listening to Republican Party presidential candidate Ted Cruz. 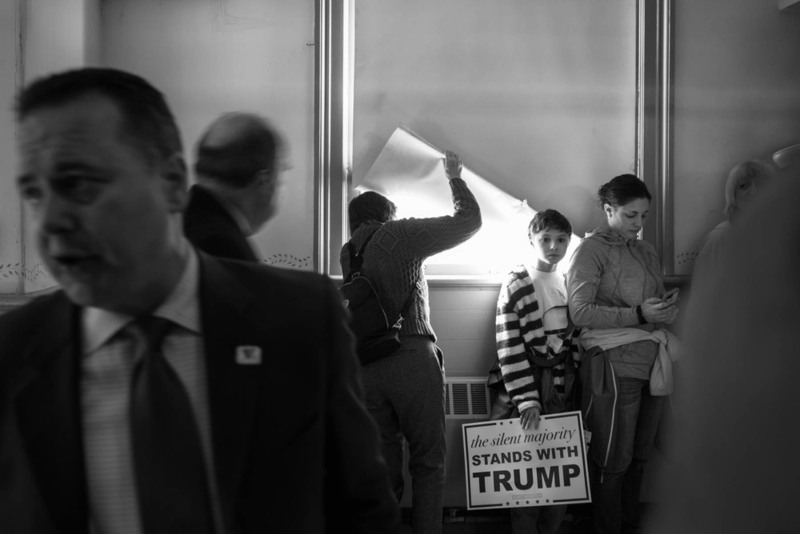 06 Feb 2016 - Manchester, New Hampshire - A young man is riding the media shuttle to the G.O.P. debate at St. Anselm's College. 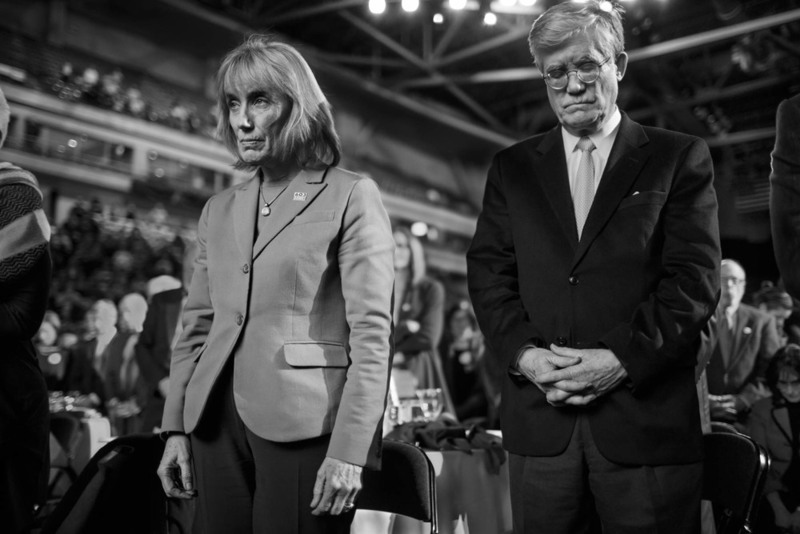 5 Feb 2016 - Manchester, New Hampshire - Democratic Party officials are running a slideshow at the 2016 McIntyre-Shaheen 100 Club Celebration.